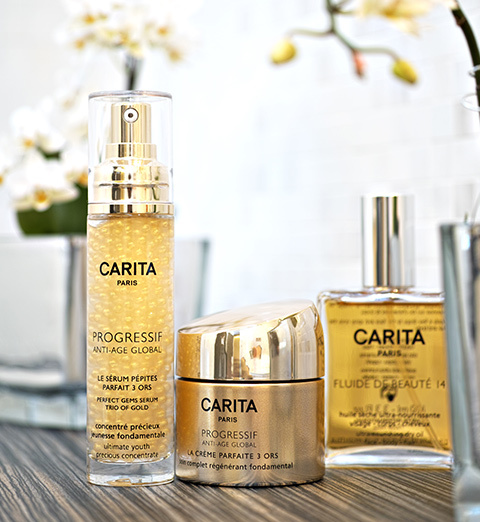 It’s in the “home of Beauty” of the 11 Faubourg Saint-Honoré in Paris that the Carita sisters found their inspiration and created the high beauty Carita. Maria, the fair-haired women, the artist and Rosy, the dark-haired woman, the buisinesswoman. Two women with strong characters. They were the first manager women in a world of men. Two women, two hairdressers who understood that beauty didn’t stop with a haircut. With a same target, make beautiful men and women. They created a new cosmetology for the face, the hair and the body, more fluid, lighter and modern. The Carita sisters built an empire and revolutionised the world of beauty and hairstyle. From Brigitte Bardot to Maria Callas and Catherine Deneuve, the biggest stars entrusted their beauty to the Carita experts. Classicism and avant-gardism, Carita is the alliance of pleasure and effectiveness, of scientific research and expertise of professionals since 1945. The adventure began in 1945. 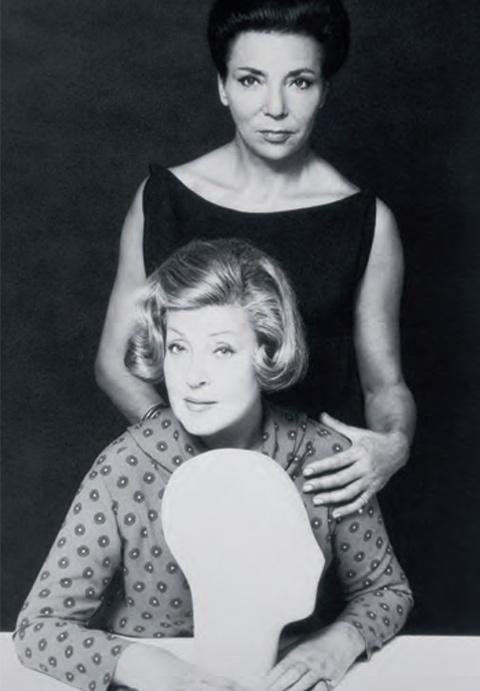 1956: Birth of two iconic products, Fluide de Beauté 14 and Renovateur. 1968: Birth of the Lotion nacre and in 1976 launching of the Biologique Masque. 2001: Birth of La Crème Parfaite, first global anti-age. 2010: Launching of the line Diamant de Beauté, pioneer in gemmo-cosmetic. 2012: Birth of Cinetic Lift Expert, first esthetic machine which associates micro-currents, ultrasounds and luminotherapie. The scientific adventure is in the heart of Carita’s values, born with the avant-garde mind of the sisters. A great idea of beauty to imagine which could be its future. A new job: professional care. The Carita Sisters had a dream, be present in the home of each woman. The best of professional treatment at home, for oneself. Recommended by experts, treatments are able to reach the highest technicality. Prepare, activate, sublimate, reveal, 4 steps which complete the trilogy Regularity – Confidence - Measure. Each protocol must to plumps, reforms and revitalizesthe face. A French touch which offers an immediate result. Thanks to a high-tech sensitivity, treatments reach unequal depth.